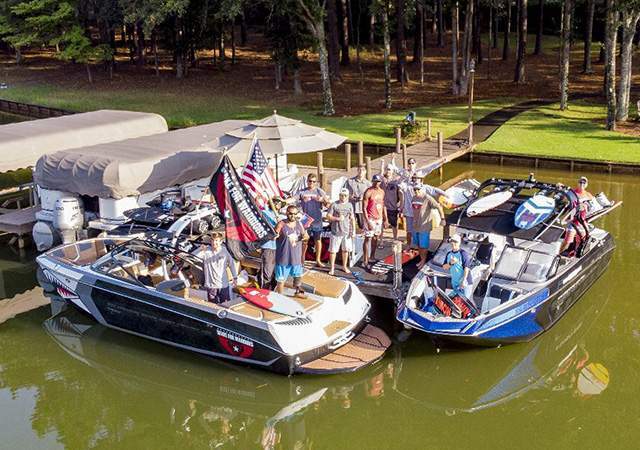 Wake For Warriors is a three day event where we invite 12 combat veterans to participate in Karting & water sports activity over a three day period. On the first day we race go karts at Victory Lane Karting Center in the morning. Second part of the day is turning these Vets into professional NASCAR pit crew members. We do this at Chip Ganassi Racing. We turn them into tire changers , Jack men and gas men for a day. The next two days are spent on the water teaching the vets to wakeboard and wake surf .